Not every flood is a bonafide federal disaster, even if it’s disastrous to the people who live there. Without the federal nod, FEMA and its contracted inspectors won’t be there to help. And if the homeowner doesn’t have flood insurance, he might be seriously out of luck. That’s where you come in. The most common time to have a home inspection is right before moving to the closing table. But when a home suffers through flood waters (or any disaster), a home inspection afterward offers guidance and a clearer picture of how the homeowners should proceed. Everyone knows that water and electricity just don’t mix. During a flood, a home’s electrical systems might be compromised, making it an unsafe environment until it’s repaired. Rushing waters are sometimes so strong that they can move a house right off its foundation. So it’s not a far stretch to imagine what those waters can do to wiring. And even if the wires and connections are intact, water inside junction boxes could spell disaster. Although plumbing doesn’t carry the same life-threatening potential as electrical, the damage can be no less troublesome and costly to repair. Basements, walls and any area exposed to flood waters are all at risk. Rising water can back up into homes through the drains and debris can block them. And as with broken or damaged wiring, rushing waters can bend, displace or even break the water supply and drainage lines. 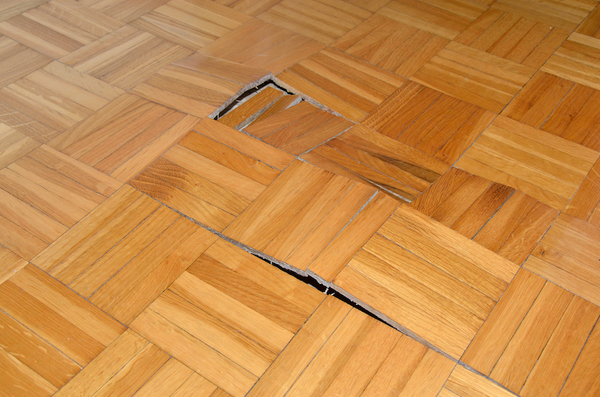 Water can warp wood flooring and the structural elements beneath it. You’ve probably seen the devastating images of Louisiana homes damaged in the recent flooding. 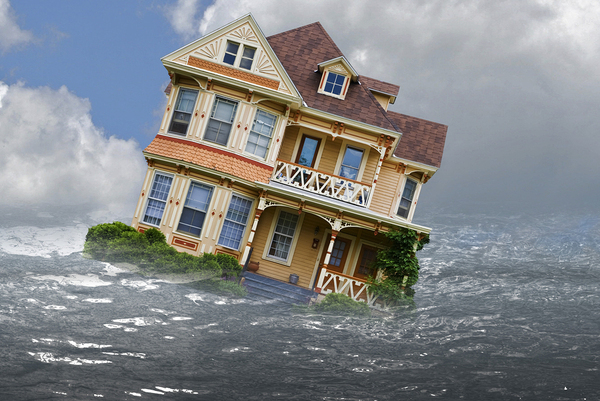 If water can move a house, it can easily damage the home’s foundation and any other structural element. Roofs, basement walls and practically every part of a home that survives a flood might have structural damage. But the top-down home inspection method covers the major potential issues that can make a home unsafe to live in. Wherever water persists, mold can easily grow. And considering the length of time that it takes to dry out a home that’s been partly submerged, the mold issue might be serious. Another issue is arguably the most distressing, and that’s sewage. Floods are notorious for breaking city sewage lines, and they can also wreak havoc on septic systems. If sewage is in the flowing water, chances are it has also entered the home and saturated every porous surface. Floods can happen after days of incessant rains or without any warning at all. For homeowners who have insurance, an inspection is part of the recovery process. But for those who don’t, hiring an inspector like you can help put the damage into perspective and make it a little more manageable. At ICA School, you’ll learn about home systems and how to spot defects. And that makes you a valuable member of the community, whether there’s a disaster or not. If you’re still just thinking about the career switch, get a free course demo and see the ICA School difference for yourself.